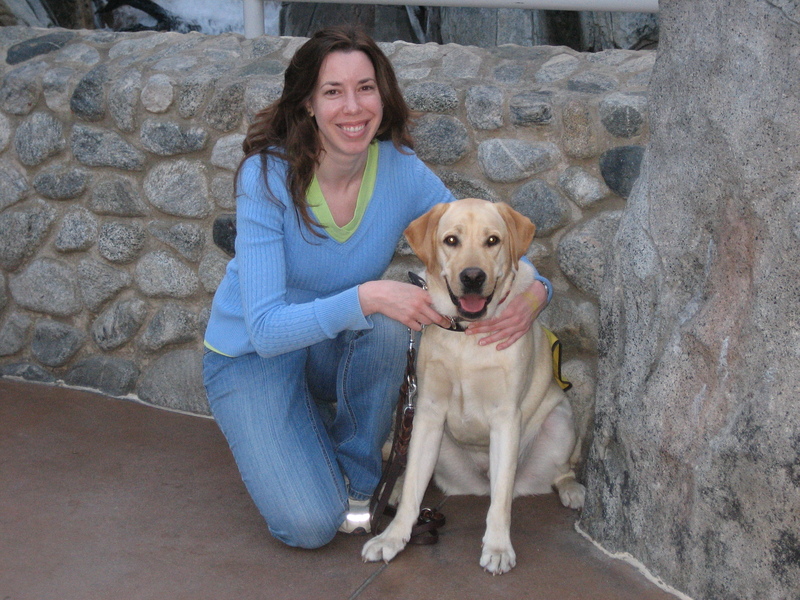 It’s kind of a bummer that just as our dogs become old enough and trustworthy enough to handle large crowds, busy theme parks and otherwise overwhelming situations, we have to give them back. That’s why we have so many adventures in the last few months between turning one year old and going in for formal training. After a visit to Disneyland with Truman’s brother, and a Fourth of July celebration at a house that’s only a couple of blocks away from a big municipal fireworks show, I figured we might as well keep the excitement up with a trip to Disney’s California Adventure. 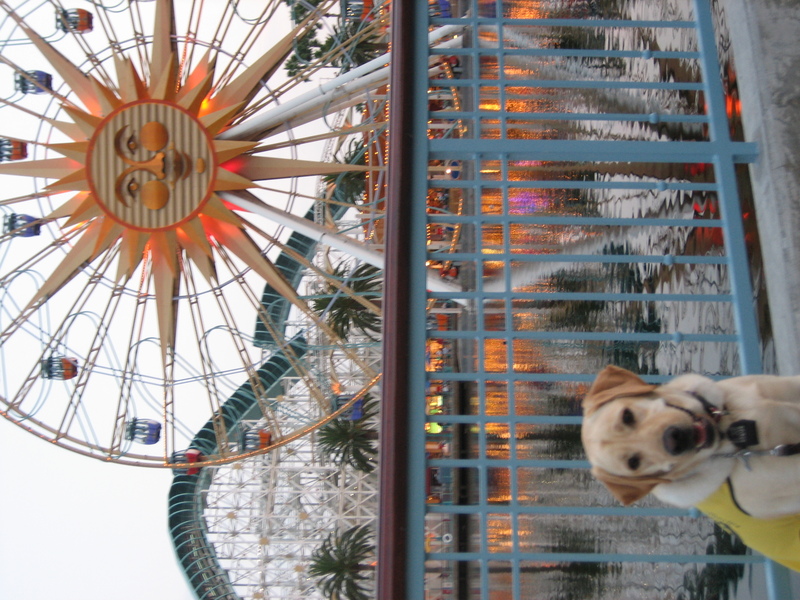 As the sun began to set, I tried to snap a few photos of Truman with the colorful backdrop of Paradise Pier…but nothing I did could prevent him from moving and blurring up my cheap-camera shot. This is as close as we got, so we’re just gonna call it artistic and move on.